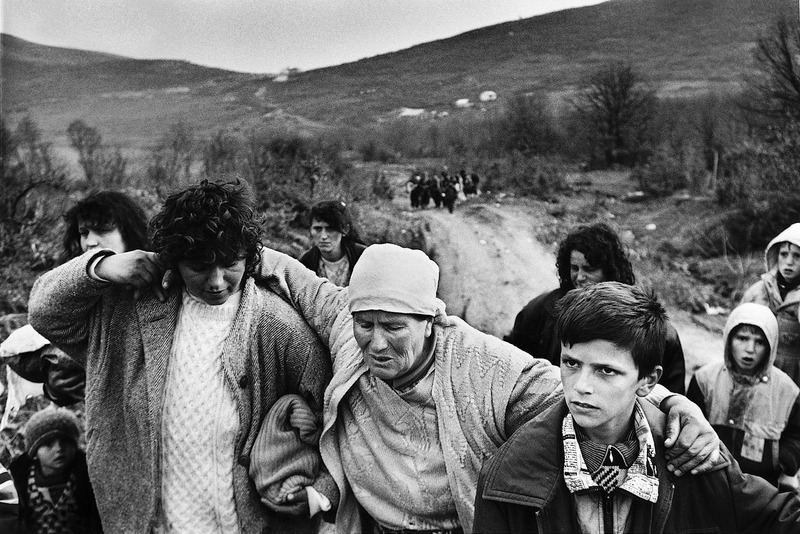 Qafa E Prushit - Kukes 6/4-1999 Refugees. An old Kosovar Albanian woman is being help by some familly members the last 200 meter to the school at the border point of Qafa E Prushit. The border can only be reached by foot.